Disclaimer: I have only started studying the southern Indian film industries in the past couple of years. The amount that I do not know is staggering in comparison to the amount I do know. This is a very very general starting point for those who are even newer to south Indian film and know even less than I do. The purpose is simply to put the facts of common knowledge in a concise logical order. Most of this is from the book by Naman Ramachandran that I just finished. He is good at finding interviews and little details, but not so good at stringing it all together in a meaningful way. However, he does do an excellent job tracking back where all Rajinikanth’s wealth and fame came from originally. Rajini’s early years were constant struggle and constant work because he was planning for the future. He had put a down payment on a promising property in Chennai when he had just gotten his first few film roles. For years he kept living in that lean to on his friends terrace, drinking cheap whiskey, working 20 hour days, until he finally paid it off. Only then did he let himself start to enjoy the money that was coming in. He grew up poor, he knew the value of money, and he knew it was too important to turn away, or to waste on enjoyment. He made good investments because of that, because of that basic sense of caution with where his money went and where it was coming from. As for the fame, that built slowly through the audience finding him, but it was also a calculated created thing. This part I found truly fascinating, and I really wish Ramachandran had done more than simply report it, that he had explored what it could mean and talked to other people about it. Oh well. At least I am grateful for what Ramachandran found and reported. 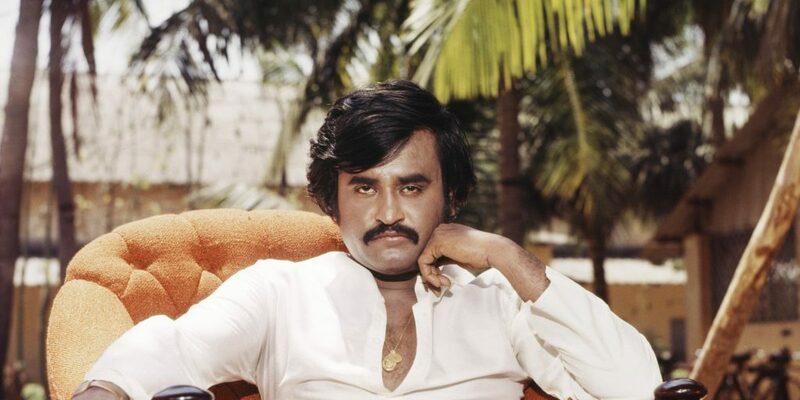 In 1978, Rajinikanth had already made dozens of movies in roles big and small. He was beginning to get a following, to be known and noticed. And then a new distributor purchased the rights to his next film, Bairavi. The distributor, S. Dhanu, was a savvy businessman who had previously specialized in re-releases. He would pick up an old film for a cheap prices, come up with a catchy ad campaign and plaster posters all over, and end up making more money off of the re-release than the film had made in the original release. This was his first new release and he wanted to make the most of it. 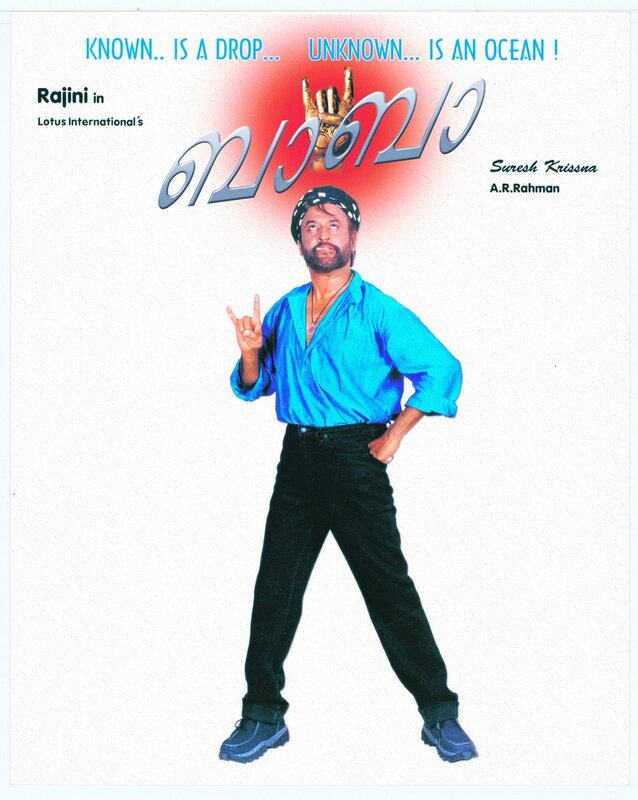 He picked out Rajinikanth as the main selling point, and his plan was to sell the film by selling Rajinikanth. He was the one who called him “Superstar”, he was the one to build 40 foot cut out billboards and have them put up, he was the one who declared Rajini to be the biggest star in Tamil Nadu, and the audience was convinced. The audience was convinced, but not Rajini. He was complimentary to the campaign, but quietly took Dhanu aside and asked him if, perhaps, this was a bit much. Especially “Superstar”, a title formally reserved only for MGR and Shivaji. It may have been a bit much, but it worked. After that campaign, Rajinikanth was accepted as the newest superstar, following on the heels of Kamal Haasan who had achieved similar, perhaps greater, fame just a few years earlier. Another area that Ramachandran carefully tracked back was Rajinikanth’s widely rumored international fame, particularly in Japan. And what he found is, it’s mostly a myth. There was one film, Muthu, which got release in Japan thanks to one determined film critic who had stumbled on Rajinikanth films and loved them. This one movie became something of a cult favorite among the Japanese audience. But it was a one time thing. The movie itself, the big colorful over the topness, struck a chord and they didn’t realize that not all Rajinikanth, or Tamil, films were like that. And it was also that magical moment in the late 90s when art house cinemas proliferated worldwide and there was space for these odd films to find an audience. Today, with the screen count lower and lower and audiences less and less likely to experiment, it won’t happen again in the same way. Rajinikanth had always looked older and seemed older than he really was. His first film role had him playing the father of a grown woman, when he was only 25. Perhaps it’s because his life was harder, and his experiences wider, than his contemporaries. Even down to little things, Rajini’s famous cigarette tricks and flips were developed over years of practice as a ticket taker on a bus. They didn’t play out for the film audience through awkward early performances, they burst forth fully formed. He had 2 years of film school before he stepped in front of a camera, years of theater experience before that. And then in the rapid pace that he worked, by 1980 he seemed like an old man and an old film star. But in reality he was only 30. Rajini in 1980 had what is varyingly described as a nervous breakdown, or just “a break”. Either one would be understandable, in fact required. He had made 53 films in 5 years, working without a break, and spending all of his money on paying down his property investment rather than on making his life easier. Stories began to circulate of fights and angry outbursts. This is the only era (so far as I can tell) when such stories were going around. Most likely it was due to his complete physical breakdown do to the stress and lack of sleep. He took time off after that, only a few months but it made all the difference. And when he returned, he fell in love. Rajini’s love story is usually told as “married a reporter” or “married a college student”. Which is not un-true. His wife Latha was a nice young college student who came to interview him for her college paper and they hit it off. There was no real “dating”, he introduced her to K Balachander and got his blessing, wrote to his family, and that was it. Well, he also had to convince her family. And here is where the “married a college student” part begins to fall apart. Because her family was already part of film. They didn’t live in Chennai, but her sister was married to another actor and a friend of Rajinikanth’s. It was that connection which helped Rajinikanth convince her parents. It’s more romantic sounding to make this a destined meeting between reporter and star and love at first sight, and I am sure that is true, but it is also true that she was his friend’s younger sister-in-law and her family approved of the match. There is a mixture of arranged and love in there, more so than the filmi magazines like to sell. Rajini married, bought a house, had two daughters, his life became more stable. And his work more stable as well, he could afford to prepare for films now, to pick and choose scripts that interested him and directors he wanted to work with. Rajini proved to have an enormous talent for spotting talent. He knew which directors he could trust, who could work well with him. And he knew which scripts would be good, which roles he should take. Rajini’s range is both wide and narrow. So long as he can play, at least partly, himself (fast-talking, fast-walking, always wins in a fight), then he can play anything. Old man to young man, scientist to gangster, it all works for him, so long as it is a Rajini kind of film in a Rajini kind of movie. While keeping his head down and doing good work in good films, Rajini also had to keep his head down and avoid politics, which is almost impossible for a film star in Tamil Nadu. He made few political statements, mostly about how he wanted to avoid politics and stay connected to his fans. But he spoke out a few times. For instance, when there was a dispute between Karnataka and Tamil Nadu over water rights, he spoke out in support of Tamil Nadu (as did many stars) which caused great upset in Karnataka feeling that it was a betrayal of his place of birth. There is really no way to win as a film star getting into politics, unless you are willing to put film star second and politics first. Being a movie star is a great way to gain a political following, but being a politician is a great way to lose a movie fan following. One interesting moment Ramachandran picks out is from the modern era, when the younger star Ajith spoke out at a political meeting about how it is unfair that film stars are told not to comment on political issues, but are also forced to attend such meetings. Essentially, he was saying the unsaid, that the politicians take these stars hostage, pressure them into attending events as though they are giving political support, and then leave them high and dry when they try to make political statements, saying it is not their place. If the movie stars could just be left alone, left out of politics entirely, it would be much more fair. Rajinikanth did not respond verbally, but he was one of the few stars present to stand and clap in response. Indicating that he himself had suffered similarly. Now of course that is out of date, Rajini is officially joining the political field after decades of rumor. And it is left to be seen how he will combine his film stardom with his political goals, his multi-ethnic identity with his position as a Tamil Nadu candidate. And with his spirituality. Ramachandran goes into fascinating detail about how seriously Rajini takes his spiritual journey. He was raised in a semi-devout household, they kept certain days sacred and studied the Hindu scriptures. And as an adult he turned to spiritual texts and pursuits, especially yoga and meditation, more and more. It is, I think, probably why he has remained so grounded and calm as a movie star, so humble, so happy with things like removing his wig when not on film and letting his true self be visible. Regularly he will go on pilgrimages, journeys to the remote mountains where he is hardly known, walking and staying in one room lodgings, and finally reaching a famous spot for meditation, a small space within a cave, where he would sit for hours on end in meditation. On film sets, he would take with him books, spiritual texts. Wrapped in brown paper so no one would see their titles and be aware of what he was reading. The one film Rajini wrote (a massive flop) was about this journey, the story of a street rowdy who was a reincarnation of a Guru and slowly found his way to spiritual grace. Only to realize it would mean turning his back on the people who needed him, and instead choosing to remain in the world and help humanity. Rajinikanth was trying to explain the philosophy that supported his own life. 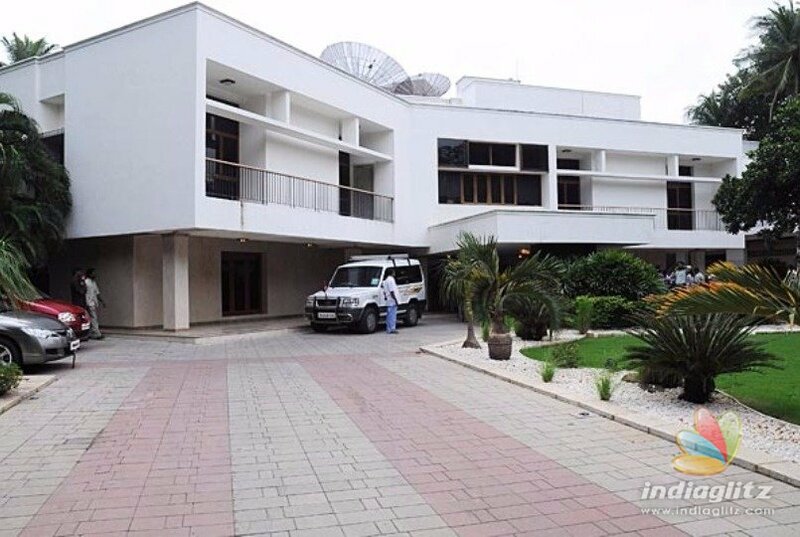 Rajini has enormous fame and enormous wealth, and he is constantly giving it away. He sponsors mass weddings, giving each couple 1 lakh to give them their start in life. Following a bomb blast in Coimbatore in Tamil Nadu, and Rajini gave away 21 lakh to the family’s of the deceased. Rajini’s wife Latha organized a grand celebration in honor of his 25th anniversary in film, and the proceeds of the celebration were used to found an organization in support of orphans. He also did retail charity, one of his long time directors Muthuraman wanted to retire, so Rajinikanth did a movie for him free of charge, as a final gift, and Muthuraman is still living happily on the profits from that final movie. For another film, Rajini pensioned off 8 different workers, arranging for the profits to be split between a director, an aging actress, and various other workers who were part of his success. This is what I saw in him in the first movies I watched, Thalapathi and Kabali and Baasha. He isn’t playing a hero who saves the people, he is playing a hero who serves the people. Humble, kind, caring, forgiving. He knows he is no better than you and that you are no worse than him. He is just a ticket collector and son of a police constable from Bangalore. This entry was posted in Hindi Film 101 and tagged Hindi Film 101, Kannada, Malayalam, Rajinikanth, Tamil, Telugu by mredlich21. Bookmark the permalink. Thankyou so so much for doing this! btw. the theatre near me is charging $30/ticket for today’s 2.0 showing. Also, IT IS SOLD OUT. Yep! That’s what it looks like around me. I’m hoping that if I go to a 10am Saturday matinee I can find a reasonable price. And thank you for thanking me! I try to do more southern posts, but it’s hard since I am starting from scratch. I am pretty proud that I finally read my Rajinikanth book and at least finished off this post.